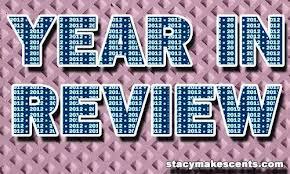 It has been a year since I started transferring my thoughts from paper to this blog. This blog has been my outlet! A piece of me that I wanted to share and a place that has helped me understand that I too, am a mess! I have shared my dates, adventures, and my journeys within my single life. I have pondered over recycling my ex and getting that phone call from an ex asking to rekindle the old flame. I went on several dates. One alone, perfect dates and some that made me want to quit searching for Mr. Jeigh altogether! However, they made me realize what I am willing to accept and not tolerate! I have shared closing a major chapter in my life and realizing that I pushed a person away because I didn’t know what I wanted. I met my guy but it happened to be wrong timing for us. Then ventured into uncharted territory with a guy that has “Excellent Potential”! Understood why “Single Life” works best for me. Began self-improvement. Applied challenges to myself by creating; Mission 15! This year was a crazy one. I went from a heartbreaking breakup, understanding and accepting being single, to possibly meeting Mr. Jeigh. I plan to continue to share my humor and seriousness with you! I may even venture into blogging about other things…just an idea! 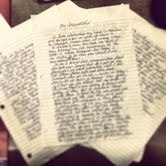 My actual handwritten blog postings!